Happy Friday! This month's The Vegan Kind box arrived earlier this week, so it's time for me to do another taste test review! 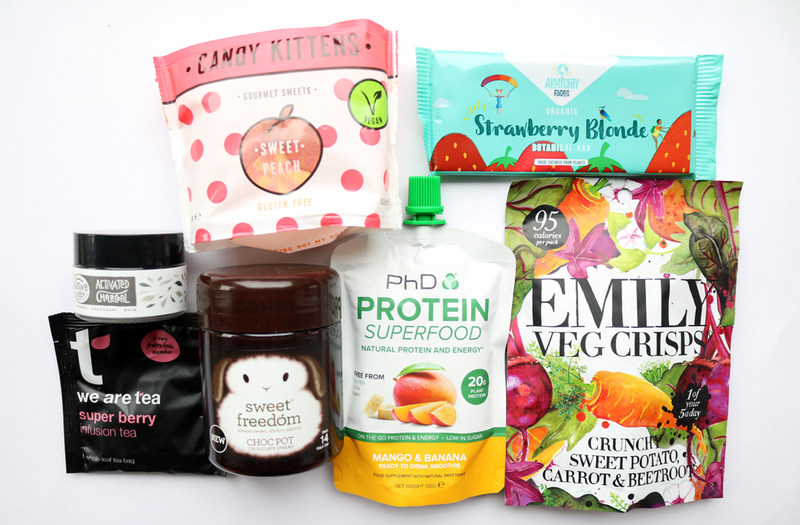 August's The Vegan Kind box is one of my favourite boxes from them so far this year and it may be because I've been craving a lot of sweet stuff at the moment. Inside the box, I found six vegan food and drink products and a natural beauty product - all of which are new to me so I was very excited to try everything out. If you're new to The Vegan Kind, they're a monthly subscription box that features a mix of vegan-friendly food, drinks, snacks, beauty and lifestyle products. I'm not 100% vegan myself, but as a vegetarian, these boxes have really been helping me to discover different brands and products. I've been subscribed to them for over a year now and they never disappoint! Check out my previous reviews here. Hello gorgeous! 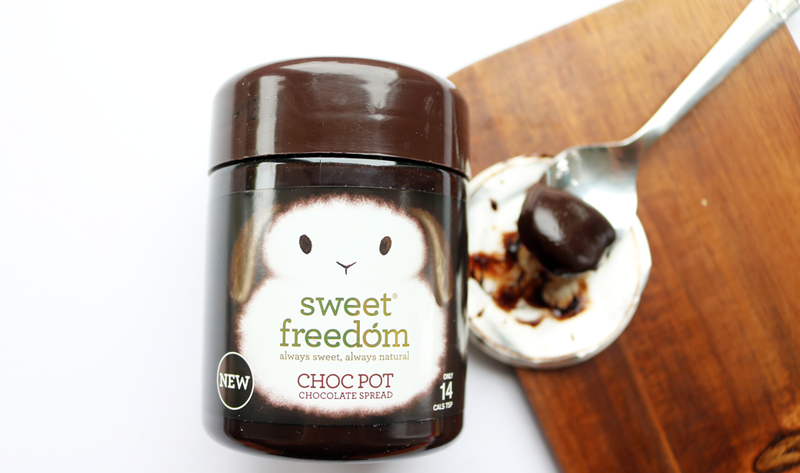 I'm a massive fan of Sweet Freedom's delicious Choc Shot which I like to drizzle onto pancakes and porridge, so this new Choc Pot is something that I'm welcoming into my life with open arms! 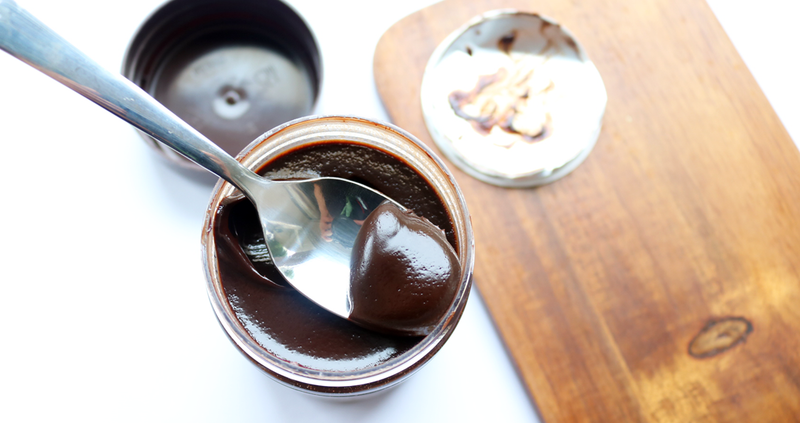 The main selling point of this is that it's made from a blend of Natural Fruit extracts, Carob, Cocoa and a little Rapeseed Oil, so it's 75% less fat and half the calories of a normal chocolate spread (it's only 14 calories per teaspoon). 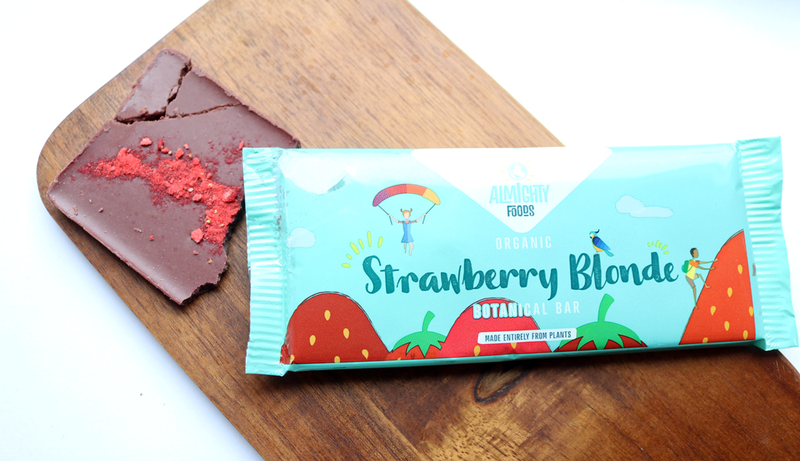 I'm always excited to try new raw chocolate bars and this one from Almighty Foods is so different to anything that I've tried before. It's made from a base of Cacao Butter, Coconut Nectar, Dried Coconut Flesh, Cashews, Tigernut and Hibiscus Flower, and features a sprinkling of dried Strawberries on the top. It's lovely and creamy in taste and texture, but it has a surprisingly sour tang to it which I really like! This is a massive bar and because it's so rich, it's definitely something that can be shared or saved for later. If there was ever an award for the most beautiful packaging on a bag of crisps, Emily Crisps would win hands down. 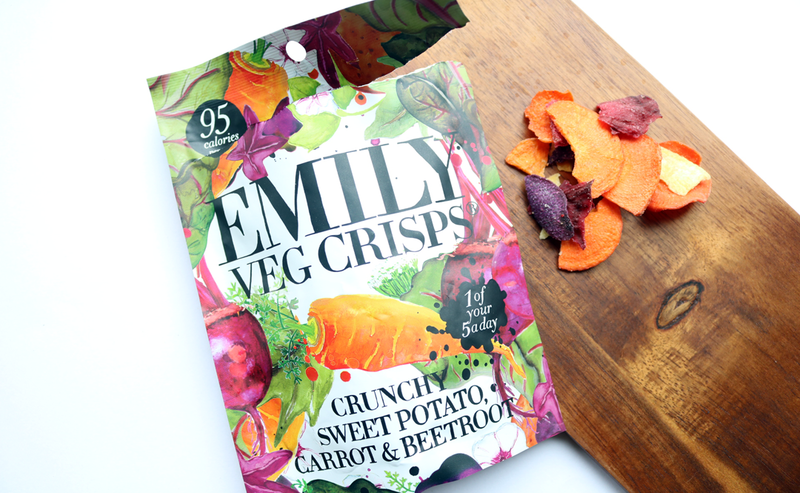 These vegetable crisps are satisfyingly crunchy and I love the mix of flavours from the Sweet Potato, Carrot and Beetroot. At only 95 calories per bag, these are a guilt-free snack that you can have at any time of the day and a great swap for normal crisps if you're looking for a healthier alternative. I'd definitely buy these again! 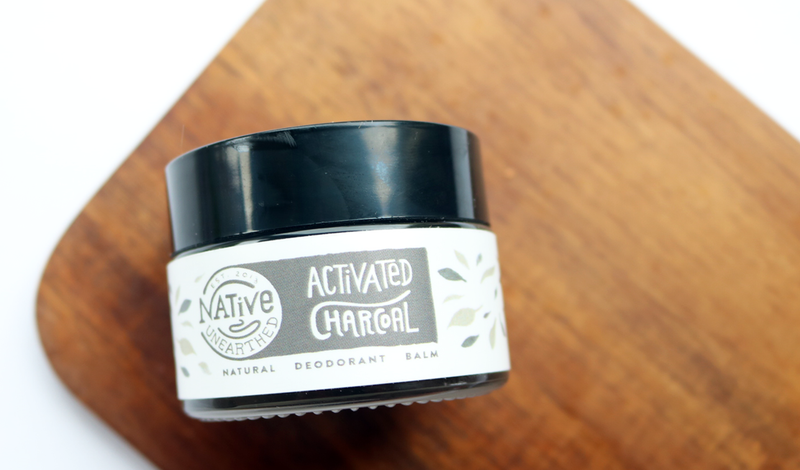 I've been using natural deodorants on and off for years now and I'm curious to see how this one from Native Unearthed works as it contains a blend of Activated Charcoal, Coconut Oil, Arrowroot, Whipped Shea Butter and Lavender Oil. The Charcoal is made from the shell of Coconuts (interesting!) which has natural absorbing properties to keep you feeling fresh and dry all day. To use it, you just scoop out a pea sized amount and rub it into your pits - sounds easy enough! Keep an eye out for a future Empties post to see how I get on with it. 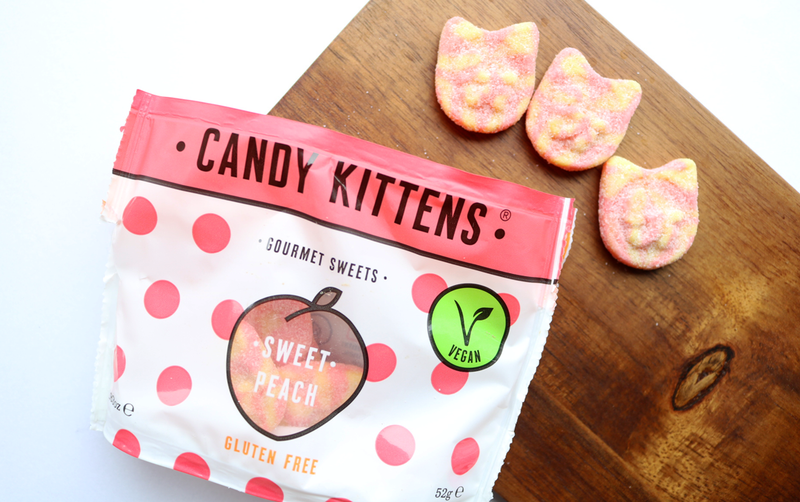 Candy Kittens are a serious weakness of mine and if you're a fan of chewy, fizzy/sour sweets, you need to try them pronto! The brand are currently working on making their whole range of sweets suitable for vegans which is amazing news, but for the time being, they have a couple of vegan-friendly flavours available. These Sweet Peach ones are so, so, SO good - really fruity with just the right amount of sour - yum! The only problem is that this bag is just too small! I was happy to see this product in the box as there are so many plant based protein products popping up in the supermarkets and on my Instagram feed recently, but I haven't really explored them properly for myself yet. 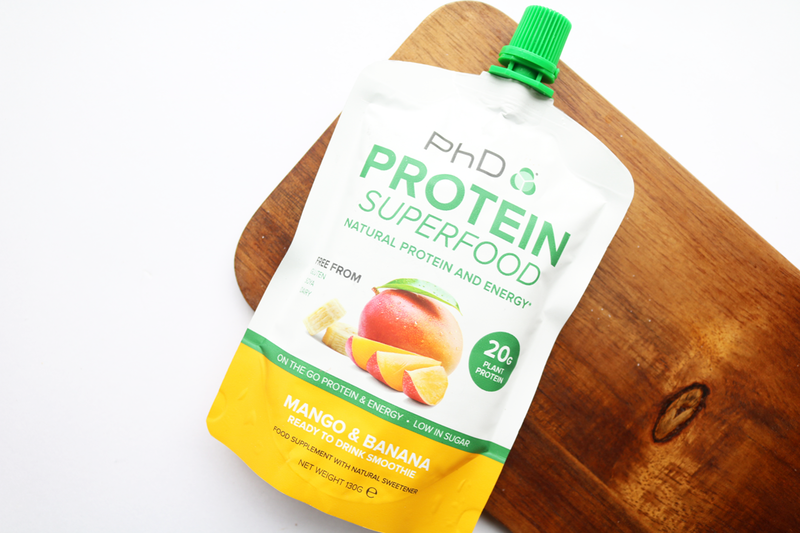 This is a brand new product release from PHD and features a Mango & Banana smoothie in a handy, squeezy pouch. It contains a whopping 20g of plant protein, so it's ideal as a pre or post-workout treat. I loved the flavour of this - it's really fruity and creamy thanks to the added Coconut Milk, and this is something that I would happily pick up again. The last product is a whole-leaf tea bag sample from We Are Tea, whose teas are currently in my heavily stocked tea cupboard. I haven't tried this flavour before though, so I had it with my breakfast this morning and it was really good! 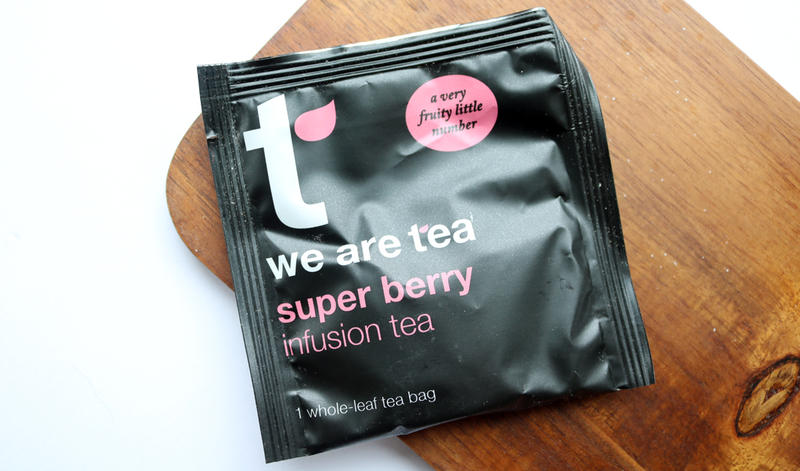 Fruit teas can all too often be disappointing, but this one packs in a lot of fruity/berry flavour and there are some lovely bits of Hibiscus, Apple and Orange in this blend. Also in the box: This month's recipe card is for a Chocolate Orange Cheesecake which I'm dying to try out, and August's chosen charity is Food Fight UK - a Glasgow based, not for profit, volunteer led service that offers free, healthy and filling vegan meals and snacks to homeless people in Scotland - a worthy cause indeed.